SPECIAL OFFER: Get 20% off your monthly VIP membership at DFSArmy.com with coupon code GEEK at checkout! 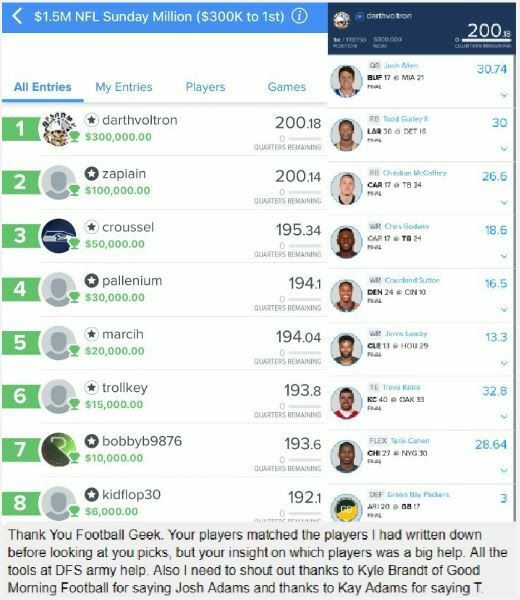 Before we get started, I wanted to congratulate a DFS Army Member on a life-changing win during week 13 in NFL on FanDuel. Member darthvoltron took down 1st place in the $1.5M NFL Sunday Million winning $300,000! Darthvoltron is the newest member of the DFS Army Wall of Wins! For those keeping track at home, that is 3 six-figure wins in the last 3 weeks by DFS Army members! Join the winning team today! 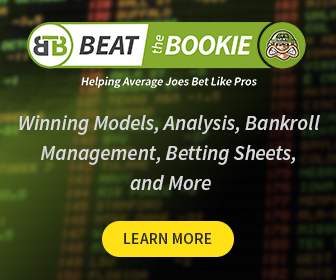 Do you want access to the most advanced Daily Fantasy and Season Long NFL content in the industry? How about the chance to talk player picks and lineups with our NFL DFS Pros and like-minded players? DFS Army VIP Members get all of that PLUS access to our best in the industry projections and optimization tools. Go to DFS Army VIP membership and use promo code GEEK to lock in at 10% off the monthly membership fee. You won’t find a better deal or a better DFS team.